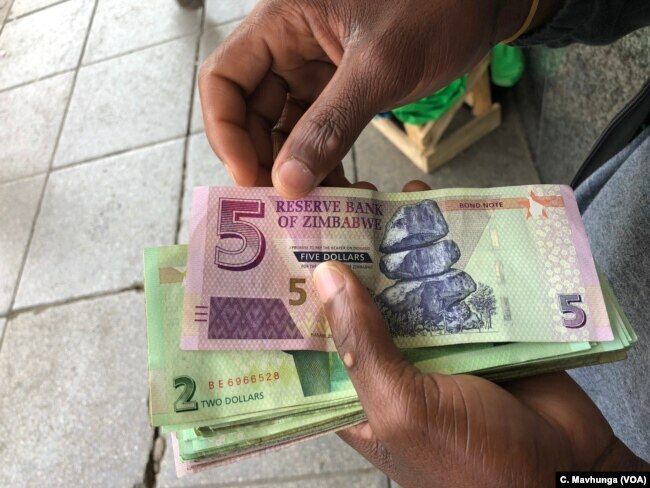 HARARE — Zimbabwe’s new finance minister has described his task of reviving the country’s moribund economy as extraordinarily difficult, but he is hopeful of success. 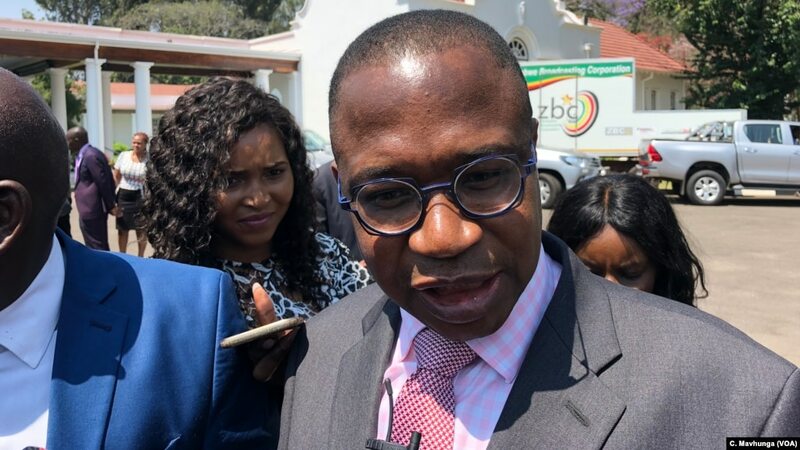 Mthuli Ncube, Zimbabwe’s new finance minister, talking to reporters after taking oath of office in Harare, Sept. 10, 2018. “It’s enormous, it is Herculean. I am very energetic and I am very up to the task. 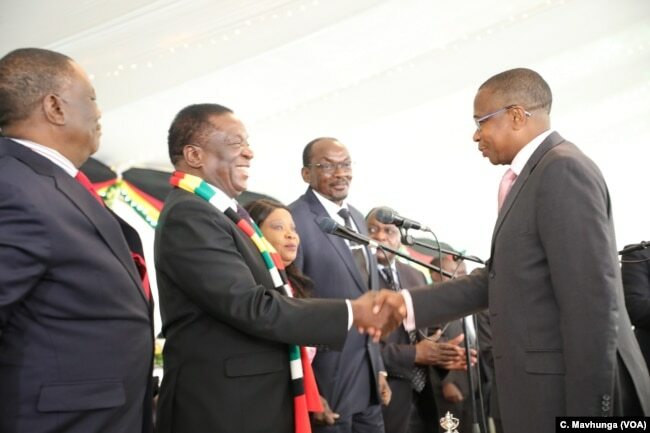 I am starting now, but in the process what I will do is listen,” said Finance Minister Mthuli Ncube, a former chief economist and vice president of the African Development Bank. President Mnangagwa (right) talks to Zimbabwe’s new Finance Minister Mthuli Ncube at the State House in Harare, Sept. 10, 2018. 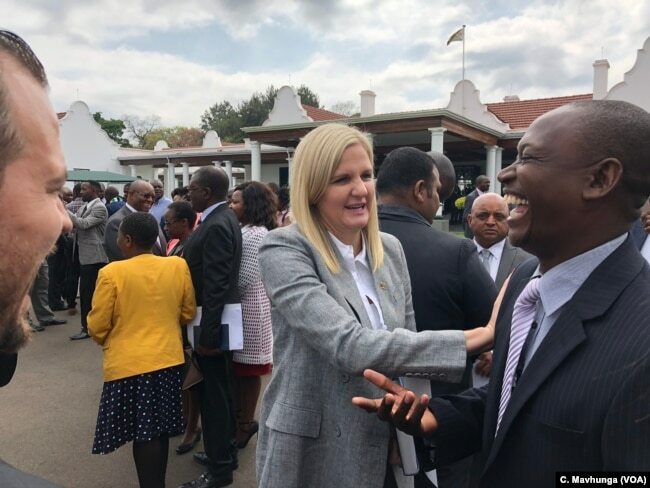 Kirsty Coventry, Africa’s most decorated Olympian is now Zimbabwe’s minister of sports and youths, Harare, Sept. 10, 2018. She says that the issue of resources will affect her job. 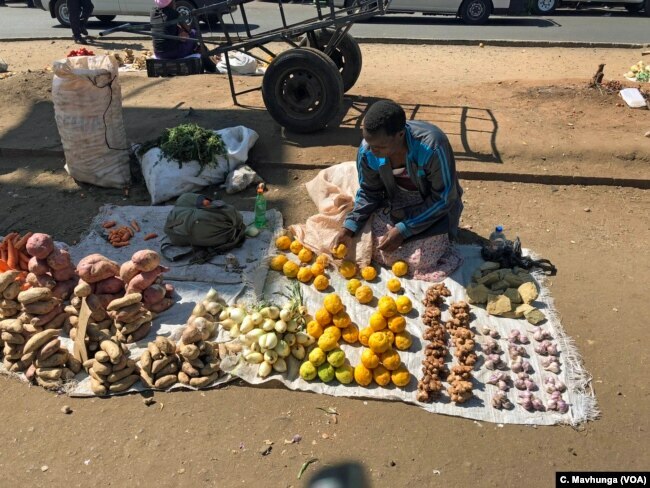 Chitambara says Zimbabwe’s government spends much of its revenue on salaries, leaving social services sectors like education and health in dire need unless Western aid agencies, like USAID, assist. Chitambara says Ncube has to change that if the country is to recover. 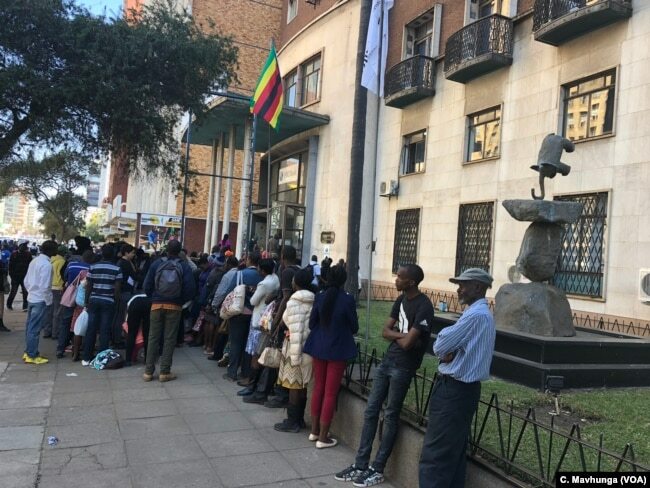 High unemployment rate – estimated to be above 85 percent has forced most Zimbabweans to rely on vending Harare, Sept. 10, 2018.